It’s Stuffed idli roast! 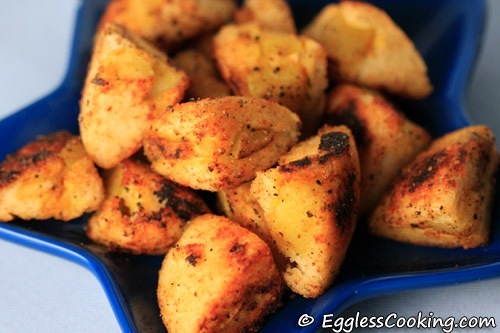 Simply transform your plain and boring idlis into a crunchy snack by stuffing it with potatoes and roasting them. Not even deep frying in oil! My grandmother used to roast plain idlies, but this stuffed recipe was new to me. At first I tried only with 4 idlis and it was over in no time. So I prepared it the next day too. You can either prepare fresh potato curry or use leftovers too. The second day I simply cubed and boiled potatoes (with salt and turmeric) in the microwave oven and stuffed it in the batter. That was good too. Pour idly batter for half measure in the idly plates. Put a tablespoon of the potato curry on it. 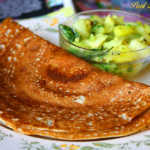 Add some more batter so that the curry is covered. Steam the idlis. Remove the idlies from the plate and cut each idli into 4 pieces. Once the idlis are ready, heat a little oil in a frying pan. 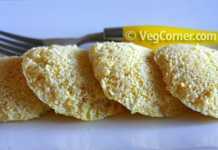 Place the idlis in the frying pan and close it with a lid leaving half an inch space. Stir on slow heat or fire for 3 to 5 minutes till both the sides of the idlis are roasted. 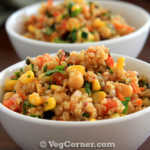 I also sprinkled some idli milagai podi and tossed it well to coat evenly. The idli stuffed with potatoes goes to Deepa’s Cooking for Kids event, originally started by Sharmi. 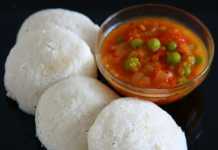 Stuffed idli looks yum…very creative and new to me….recipe sounds interesting too…Thank you for the lovely entry Madhu. 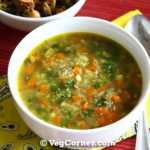 You have a beautiful place here…Good job….will drop in again for some eggless recipes. 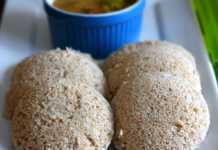 These stuffed idlis look delicious; the recipe sounds tempting; got a lovely blog here; came here through suparna. Thank you very much Akal. 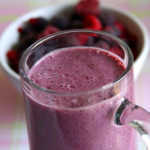 wow..i love how simple you made the recipe..very creative..i love the picture also. well, i always have a difficulty in findings ingredients in U.S. one of my friend introduced me to a wonderful resource http://www.myethnicworld.com and i thought that i pass great along as well. Thanks Sampada. Will check out the site too. Wow, great idea Madhu! I love such creative recipes. Looks great and crunchy! Yummy. I’ve heard it but not tried.